Eric Berne started a revolution in the fields of psychology and self-development when he wrote Games People Play (1964). Yet all of his psychoanalytic games were negative and destructive. Not so with Frame Games. Now we get to play games that make life more fun and productive. In Frame Games a game refers to all of the behaviors, actions, roles, rituals, even feelings that we daily play out. Every mood, attitude, behavior, skill, role, ritual, etc. that we experience, we play some game. Because our games are determined by our mental and emotional frames, there is rhyme and reason to our games. Every game comes from and expresses some higher frame of reference and frame of meaning in our heads, hence, Frame Games. Frames involve our ideas, thoughts, beliefs, understandings, decisions, values, models, paradigms, definitions, learnings, etc. We always play from some frame of mind. Together, the games that our frames initiate direct our mind-body states (i.e., our very thinking, emoting, behaving, relating, etc.). This makes our Frame Games critically important. Our frame games govern and determine the very quality of our everyday experiences and life. Our frame games exercise an influence over us about the meaning of life and the way to play out that meaning in our every actions. All of life is a game—played inside of frames within frames of frames. Discovering the Frame Game secrets makes you a frame game master and turbo-charges your persuasion skills. Frame Games describes the games we all play, the games that we play everyday of our lives, and the games that we play in every arena of life: health, wealth, business, personal, etc. Frame Games explains why we act the way we do, our thinking patterns, emotional habits, and the actions and interactions that make or break us. Frame Games goes beyond the old Transactional Analysis games and provides a user-friendly version of NLP and Neuro-Semantics. Access the right kind of mental frames that will put you in charge of your own states and emotions, that will increase your effectiveness, productivity, health, personal genius, etc. Discover that all of life is truly a game played within frames and frames-of-frames and learn how to detect, alter, and transform the Matrix of your mental frames and enter into an entirely new world of experience. Point you in the way of personal mastery, the higher levels of mind, will reveal the secrets of success, and will enable you to truly master your own Matrix of frames. 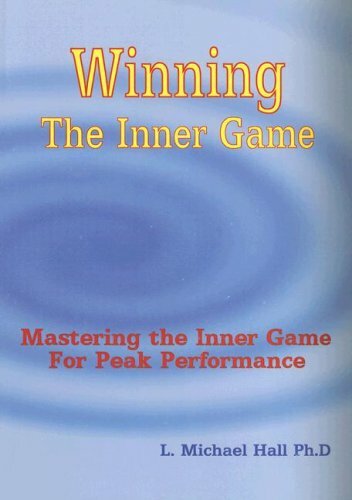 Develop skill in recognizing the games; practice Frame Game analysis, power up to refuse old games and play the intentionality game that allows you to take an intentional stance in life.